OK, I know, I have been seriously sow in updating anything on this web site. Some of you might even have completely forgotten about the place. I have been very busy at work and also using a huge amount of time to try and catalogue all of my film - a MUCH bigger piece of work than I ever imagined. I have been slaving over a hot scanner for much of my spare time. I do, however, have a huge amount of material to put onto the web site, so maybe I will be able to get some more posts done soon. As always I am constantly experimenting with different films to see what suites the look I trying to get. Having gone through the usual negative and positive stocks from Kodak and Fuji, I have discovered a repacked Kodak cinema film that has been popping up in a few places lately. Called “Cinestill”, it is a packing of Kodak “Vision” cinema film, that has been re-maufactured to remove the “anti-halation” layer that is supposed to stop stray light and something cinema folks worry about. 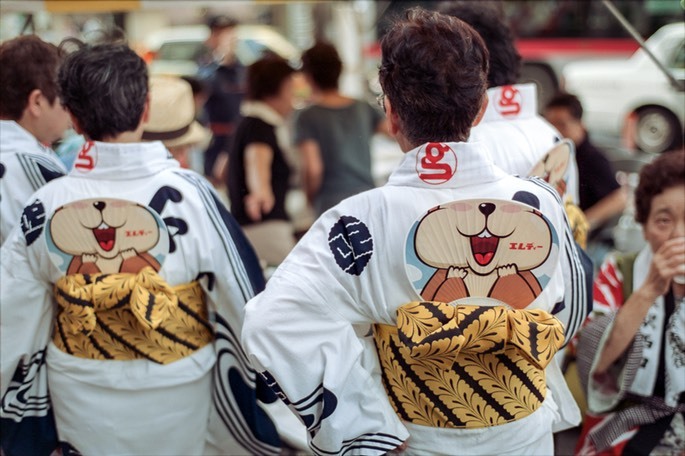 That means it comes in 35mm cartridges and can be developed easily in a standard C41 process. The cool thing is that it is ISO50 at “box speed”. To date I have shot it only at box speed - which is slow enough to need good light and fast lenses, but have a film out now being processed that I shot at 1 stop over or ISO25. That was a very sunny day. I will post the results when I get them back from my friends at Richard Photo Lab. All of the photos on this page were shot on Nikon F6 gear, with Nikon lenses and scanned by me using a Nikon Coolscan 9000ED, Vuescan for RAW output and processed using ColorPerfect to get that colour right and Photoshop for final adjustments. Even though I have been using ColorPerfect, the pictures did look a little too warm to me, so I use the levels and curves (finding the black point) to try an get them back to something that looks right. These are harder than Kodak Ektar to get the scans right. This has to be the most “grain free” film I have ever used, it is almost digital in the clearness of the grain - which may not be a good thing. The colours are a quite muted tone - somewhat like Portra 400, but not quite. Overall I am pleased. The only caveat is that the surface seems to have more imperfections that usual Kodak stock (of course that is far less of an issue in movie film) which needs some more spot healing work than normal. See for yourself…..
Chipmunk Fans. A pause in my local Matsuri (festival) sees the fans safely stowed for later use. 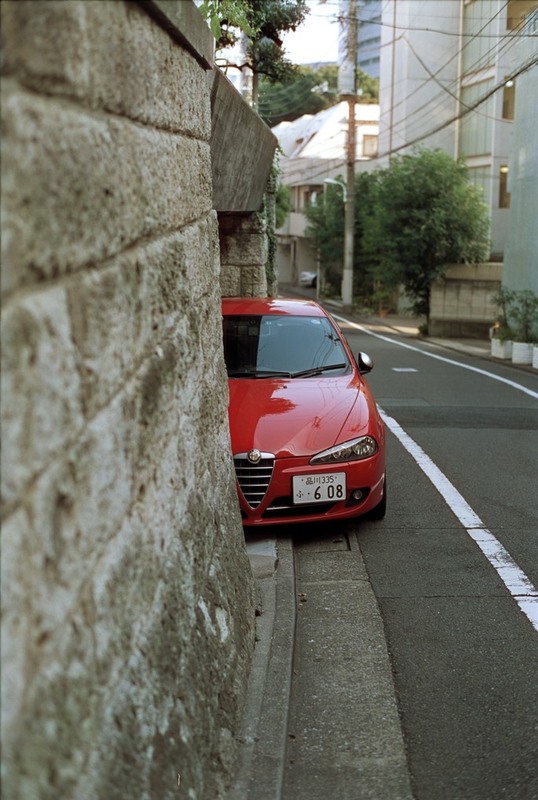 Half an Alfa - on a side street near my home in Meguro. The red seems to be quite pleasing and less harsh than other Kodak renderings. 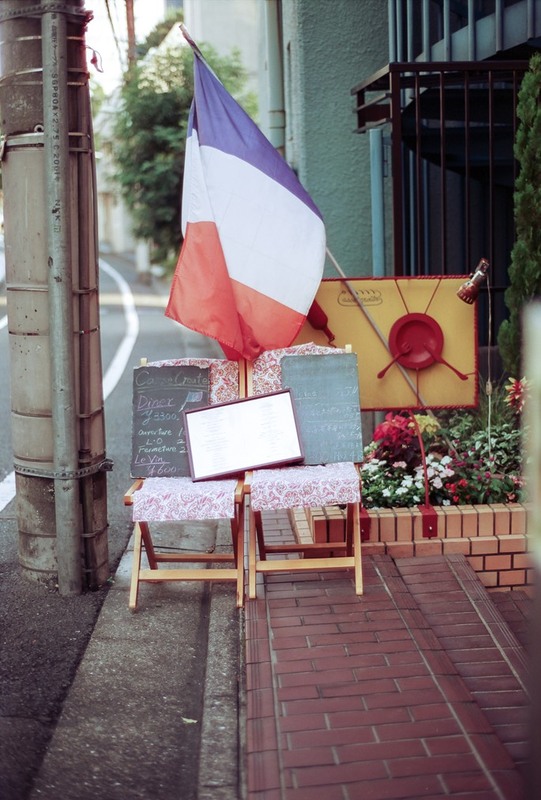 French Food - Japanese like to fly the national flag of the cuisine - in this case French. Again, pleasing reds. 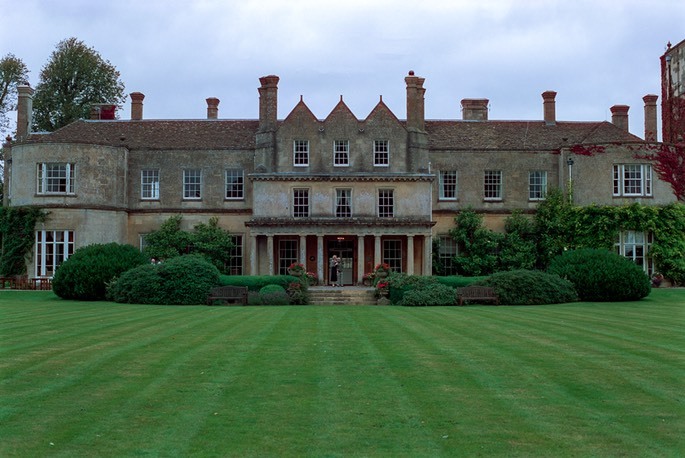 Lucknam Park House - in the English countryside. Full sized, this is amazingly detailed. 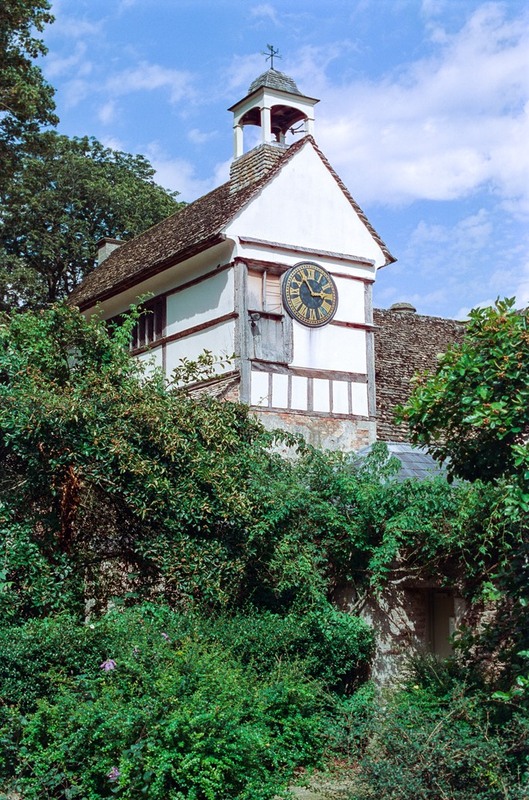 Tudor time - clock tower from Henry VIII’s time at Lacock Abbey in Wiltshire. 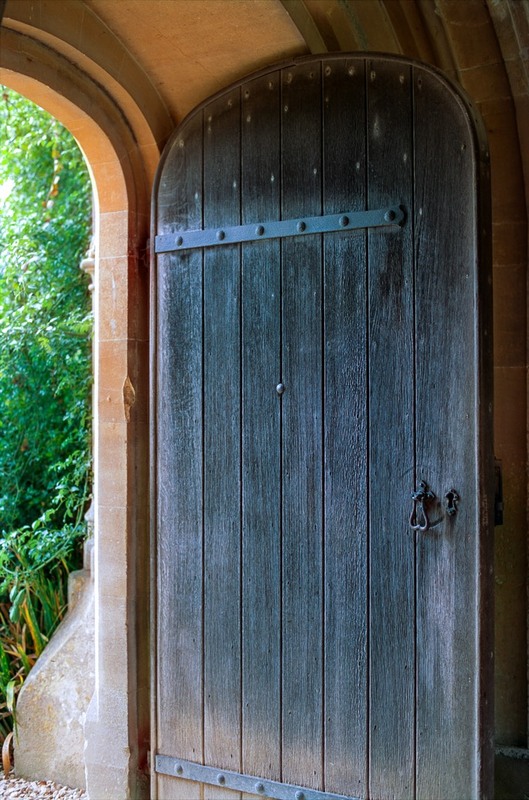 A door- also in Lacock Abbey - and once used as part of the set for a Harry Potter movie. 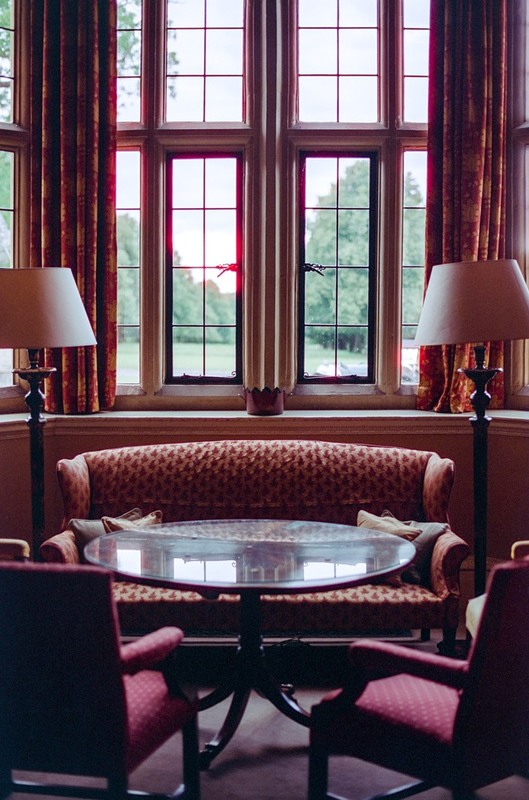 Sitting Room - Hartnell House in Buckinghamshire, England. this shows the dynamic range of this film. If done in digital the view out the window might have been blown out. I love shooting film. 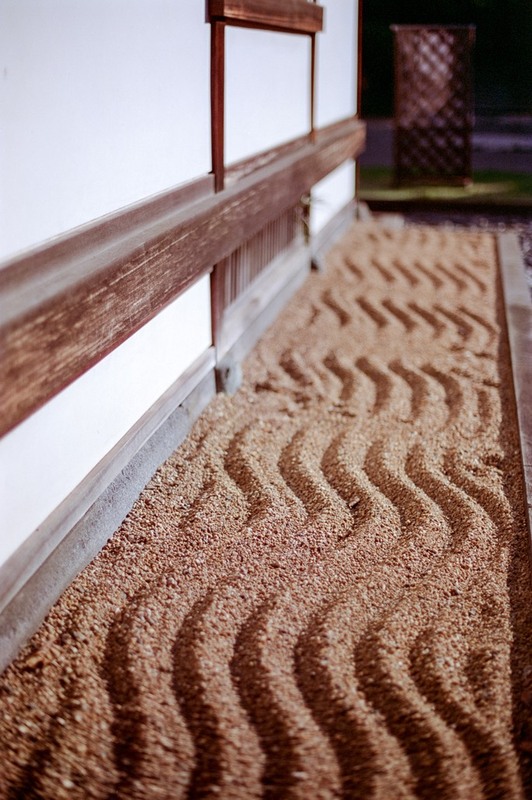 Waves - a small Zen treatment of a garden in a shrine in Yanaka, a very cool part of Tokyo to wander around with a camera. 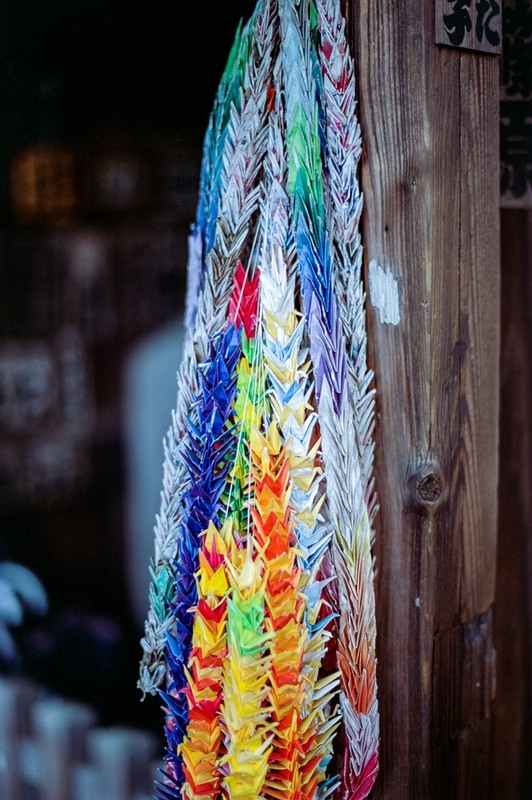 Paper Cranes - a common offering at shrines and temples across the country. 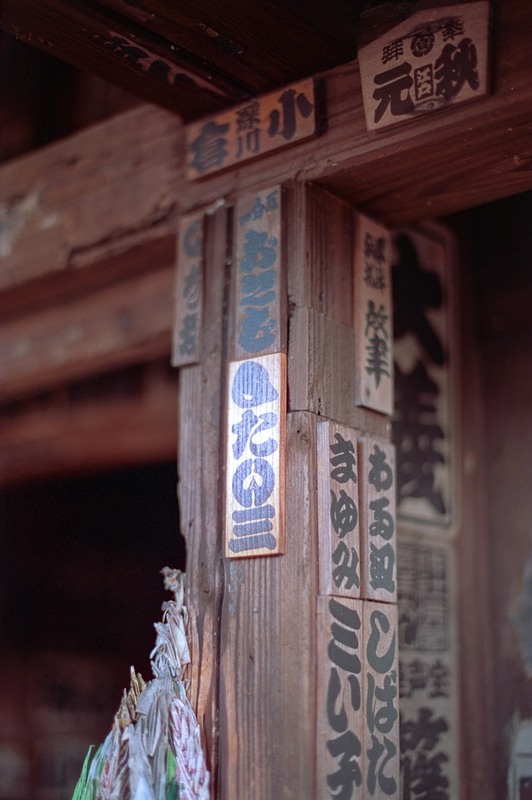 “I was here” - literally name plates to recognise that you had been to a place. Sort of high quality graffiti.